Often unacceptable or unwanted behaviour can be a sign that a dog that is coping with stress. The causes of this strain can vary, and attempting to change a dog’s behaviour without first reducing or removing stress triggers and improving communication, rarely results in a lasting solution. For that reason Sue Kewley Practice therapy usually begins with an initial consultation/consultations where Sue tries to identify stress triggers and suggest coping mechanisms. A behaviour modification plan will be set in place with therapy undertaken in close co-operation with your Vet, keeping them informed on progress and developments throughout. Sue’s therapy employs almost exclusively positive methods such as treats, clicker etc. 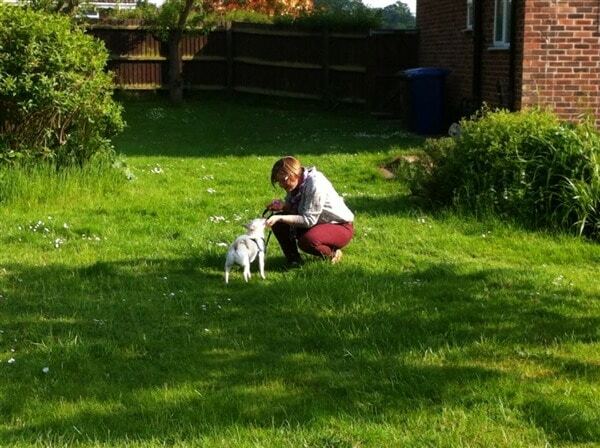 Sue has over 30 years of experience dog training and plenty experience in tackling all behaviour. 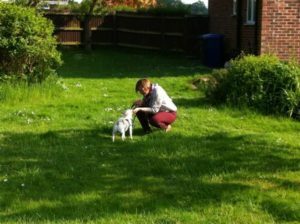 Sue is a Practitioner of the COAPE Association of Applied Pet Behaviourists and Trainers, and went on to undertake further assessment to gain accreditation as a CAPBT Practitioner. Sue Kewley Practice therapy is good for everyone. It is good for people that have tried alternative methods that haven’t worked out, or with a new puppy! It’s a holistic and healthy way to train your pet and to shape them into the perfect companion.